How do you manage a piece of art being created? Sorry Steemians for being away for a couple days, just got caught up and couldn't log in. 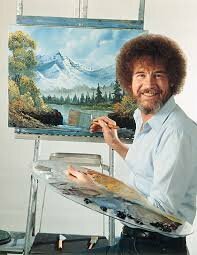 Anyways, who remembers Bob Ross? As a kid I would watch his show all the time, he would describe his thoughts as he was painting, he would talk to his art as it was being formed. One thing always stuck out to me when he was in the process of creating trees, he would always add "friends" or "family" in the form of other trees or branches on the trunk. He was inspirational and entertaining in what he did. What I always thought was amazing was how he had all these pieces or figures and you had no idea how he would make it start looking like what he was describing it would be. Then all of a sudden it started coming together. I was always in aww watching it tie itself together and see the masterpiece become reality. I bring this up because I feel the future of what we all envision is the same thing, we all envision an artful masterpiece of what life is going to look like... some of us just started the journey of being enlightened, some of us see the dots but haven't connected them, and some of us see a path of what the next step is to help create this master piece... we're all in this together. 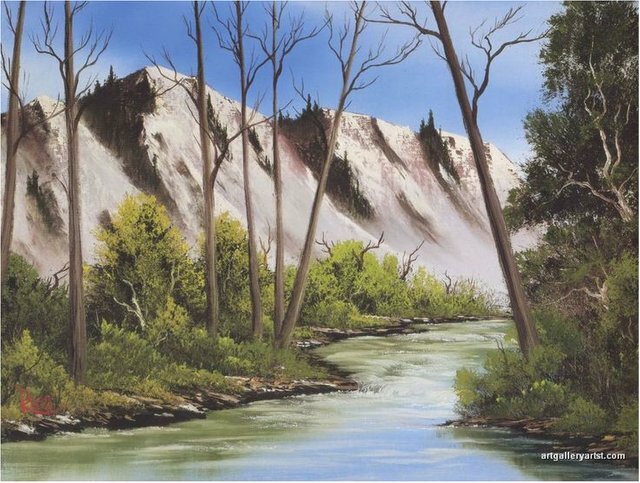 I think Bob Ross would be proud of what humanity is accomplishing, I know a basic income/manna will inspire more creative artists to do what they love to do which is bring amazing art to reality. Anyway, if anyone actually reads this please share your favorite Bob Ross painting. I really enjoyed watching bob ross too! This one is my favorite because I hobby gold pan and this creek looks like its loaded. This is awesome, I could only imagine him talking through this one. Gold panning, thats awesome I've done my fair share of that in CO. Thanks for sharing! I don’t have a favorite Bob Ross painting. My favorite BR fun-fact is that he was a drill sergeant and hated yelling at people. Thats too awesome, I didn't realize he was in the military until this post came to me and I started researching him more.